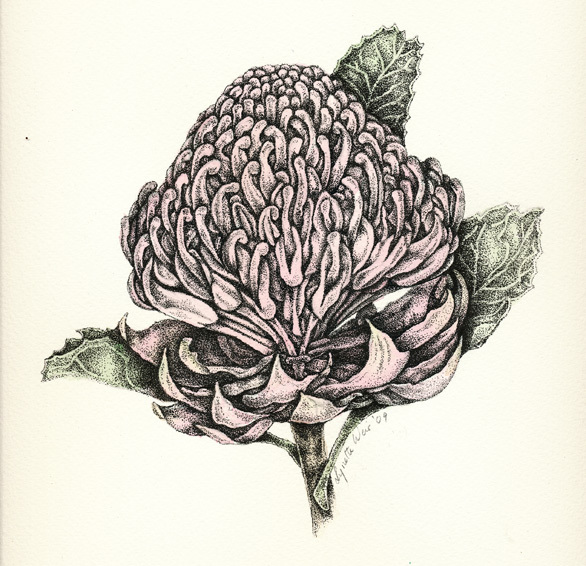 Another botanical illustration – this time of a waratah – Telopia speciosissima. Anyone who reads my Studio Diary knows this is just one of my all time favourite wildflowers. 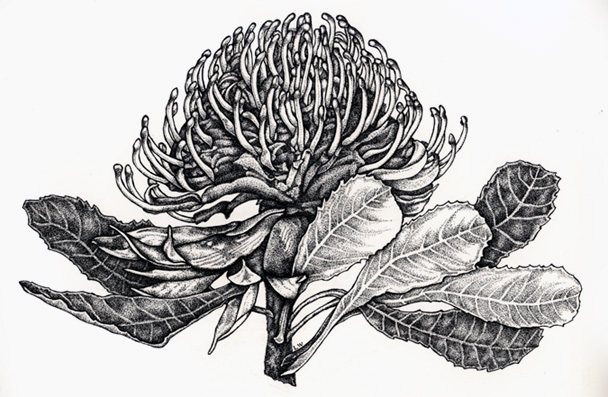 In this particular illustration of a Waratah – Telopia speciosissima – I have used a very light wash of watercolour and use fine dots (many many fine dots) with a Rotring pen to build up the image. For those that may be interested in papers I have used an antique white rag based acid free watercolour paper. I like this paper with its slightly rough texture – it is cold pressed watercolour paper and so has a ‘bite’ on its surface. The hot pressed papers I mainly use for the linocuts has a smooth surface.